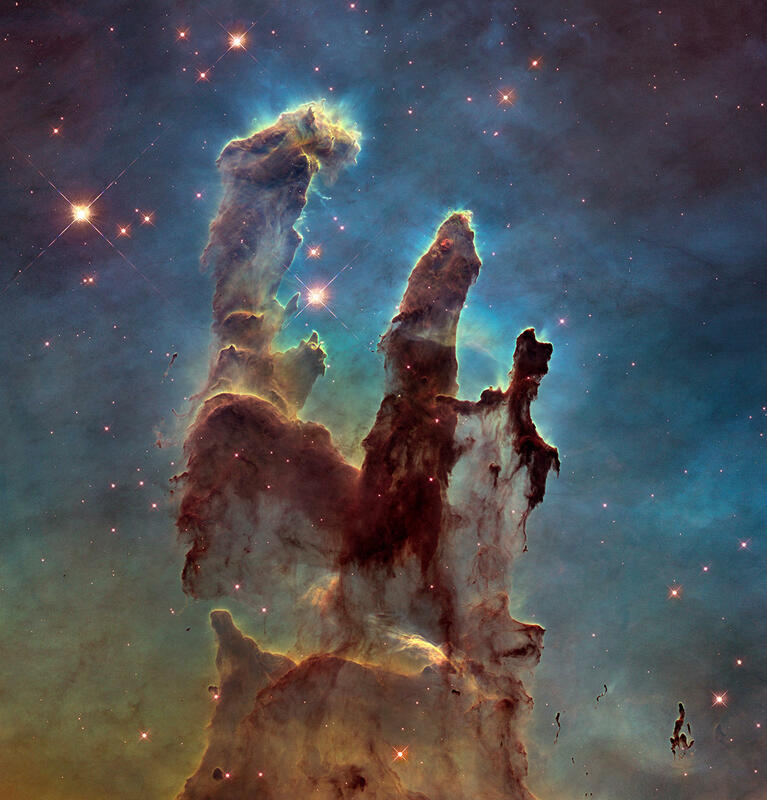 "Pillars of Creations" in a Hubble photo, 25 years after Hubble first photographed them. South Carolina Focus we talk with NASA head Charles Bolden about the amazing Hubble Space Telescope, which has, for the last quarter-century, provided breathtaking photographs of outer space never before possible. It has opened up so much new information to science it has caused textbooks on astronomy and astrophysics to be rewritten. Bolden, who is the current head of NASA, is a Columbia native and former astronaut. He piloted the space shuttle Discovery when its crew deployed the telescope 25 years ago. He talks about the accomplishments of this incredible scientific tool, and of the next phase of telescopic space exploration.